We’re using satellite imagery to identify areas with chronic oil pollution issues. 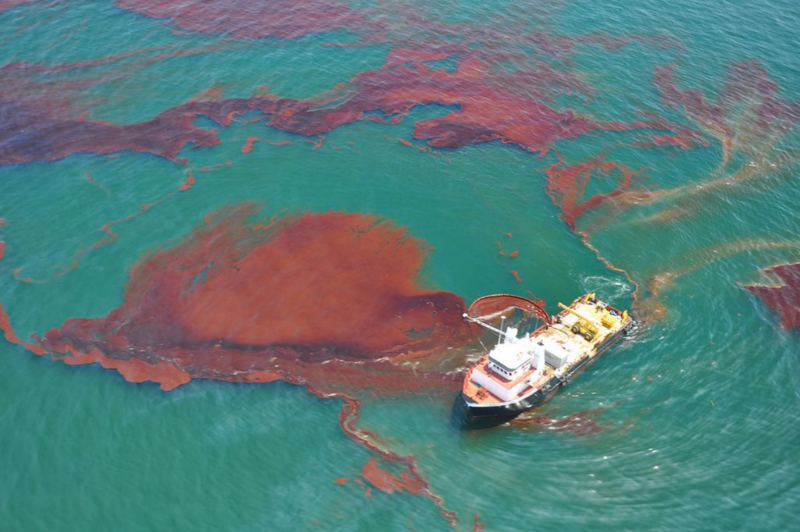 The 2010 BP/Deepwater Horizon disaster was a tragic catalyst for SkyTruth when we exposed the true severity of the spill through analysis of satellite imagery. Using satellite imagery and public pollution reports, we’re keeping a close eye on oil pollution around the world. We believe consistent vigilance on this issue compels more timely and accurate reporting from responsible parties, better oversight by regulators, and greater public understanding of the risks inherent with offshore drilling. We’re also monitoring pollution from vessel activities. Ships at sea sometimes bypass their pollution control systems and flush their oily ballast and bilge water straight into the sea. This practice is known as “bilge dumping,” and we’re tracking it all over the world. One such vessel, then known as the Dona Liberata, was a ground-breaking case study in using satellite data to identify scofflaw at sea.